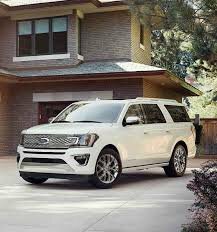 Vickar Ford sales reps are excited about Ford’s 2018 Expedition. “All the technology that Ford has to offer you can find in the 2018 Expepidition,” says Vickar Ford sales rep Henry Clyke. He notes that the 2018 model comes with an updated EcoBoost 3.5L twin-turbo V-6 engine a new 10-speed Allison transmission. Clyke’s Vickar Ford colleague, Devyn Read, adds that the eight-passenger SUV is slightly longer and wider than its predecessor. It’s also136 kg lighter than the previous model. A second-row seat that manually tips and slides makes for easier entry to the third row. Having an independent rear suspension keeps the third-row seat low—and for 2018, the seat reclines. 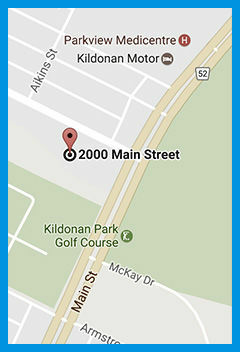 Some of the new technology that Read points out include available mounted screens on the headrests for passengers in the rear rows, a hiot spot for charging your phone, Wi-Fi which works for up to 10 devices, available Sync Connect to use FordPass on your phone for starting, locking, or locating your vehicle remotely and Apple CarPlay and Android Auto. Ford has also given the Expedition a panorama roof above the first two rows and a flat load floor below, which can accommodate large objects with the push of a button to fold both rows flat. Safety features include 360-degree camera for blind-spot detection, cross-traffic alert, lane keeping, and adaptive cruise control with stop and go ability. 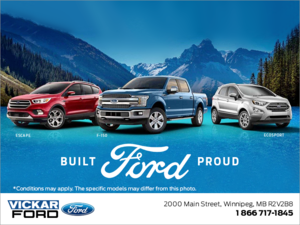 For more information about the 2018 Expedition or any of the other outstanding new Ford products, phone Vickar Ford at 204 339-2000 (vickarford.ca) or drop into the dealership at 2000 Main Street (just north of Kildonan Park).